The Community Foundation provides added value to our annual giving plans. 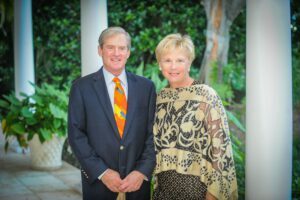 It is simply easier for us to support causes we care about – United Way, Vero Beach Museum of Art and the Senior Resource Association to name a few – through the Community Foundation. After understanding the Community Foundation’s commitment to maintaining a donor’s legacy in perpetuity, we chose to leave more to our Fund to support future community needs. We are confident our philanthropic plans will be fully executed by the Indian River Community Foundation.